What’s even better than meeting fellow artists online? Meeting fellow artists who are also fellow BATMAN FANS, of course! Yep, I’m very fond of people who take their time drawing the Caped Crusader, which is why it’s an absolute pleasure to feature Dean of Dean’z Doodlez! 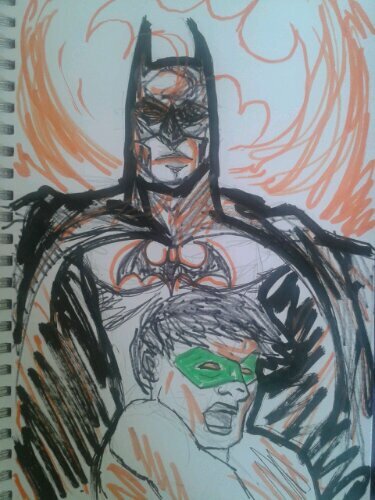 Dean made the Batman and Robin sketch above especially for me (thank you!!!) when I requested it from him, so maybe he can also whip one out for you if you ask him nicely (wink!). So go ahead and check out Dean’z Doodlez today!